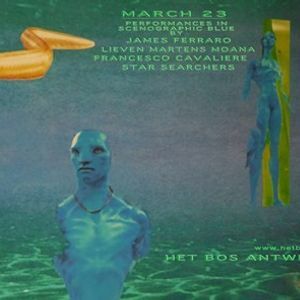 The transference of James Camerons' future film, AVATAR 2, into the ULTRA-PREHISTORIC world of the PRE-CAMBRIAN ERA is alive in SPENCER CLARK'S NEW ALBUM PREMIERE, AVATAR BLUE. In order to influence a positive outcome in the world of Hollywood, AVATAR BLUE will imbibe a morphed AVATAR being into a speculative historical time period of the Pre-Cambrian era; whence a large influx of oxygen poured into the oceans from volcanic aqueducts to create a multitude of bizarre underwater creatures. The placement of the Avatar beings in a Pre-Cambrian world is a statement and gesture of personal power by the Imagineer, SPENCER CLARK. During the week, of Avatar Blue, visitors will witness all the Art Objects used to make the Installation in the HET BOS GALLERY. 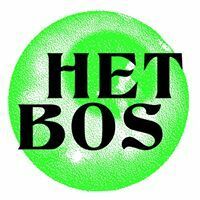 Het Bos will be flooded with LASERDISC cinemas showcasing the height of hollywood straight to video special effects in movies like: TC2000, BRAINSCAN, ROBOCOP 2, THE ABYSS...etc. 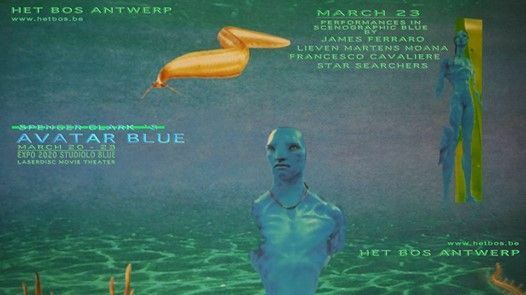 And on the final evening there will be in the concert hall performances of 4 Imagineers commissioned to invent 4 pieces for AVATAR BLUE: JAMES FERRARO, FRANCESCO CAVALIERE, LIEVEN MARTENS MOANA, and SPENCER CLARK.